NEW YORK – On Saturday, December 8th, pianist Simone Dinnerstein made a return appearance to Miller Theatre to perform an intriguing and eclectic solo recital. The stage was set with subdued lighting, with electric “candles” placed throughout and, over the course of the evening, small shifts of color. Ms. Dinnerstein, dressed in elegant, flowing attire, created an atmosphere through her performance demeanor as well. The recital was announced with no intermission and the pianist paused from playing only once, midway through, to acknowledge applause and take a brief break. However, by otherwise starting each piece immediately after the final notes of the one it preceded, she communicated clearly that this was not to be an event in which musical continuity would be broken by applause between numbers. Thankfully the audience complied, mutually agreeing to allow the atmosphere to envelop them too. Dinnerstein played two pieces by the Eighteenth century harpsichord composer Francois Couperin, one at the beginning and another right before the break. This is the first time she has programmed the composer. Her approach to Les Barriades mystérieueses was sonorous, eschewing ornamentation in favor of unadorned, shapely melodies. Like the Goldberg Variations, the second piece required interlacing the hands to play everything on the piano keyboard that would have required two manuals on the harpsichord. Le Tic-Toc-Choc, ou Les Mallotins featured motoric clockwork and brisk filigrees that were an excellent foil for the Philip Glass work that immediately preceded it. Mad Rush (1979), one of Glass’s best known piano pieces, was first composed for the organ at the Cathedral of St. John the Divine, where the composer performed it for an appearance by the Dalai Lama. Arranged for piano, the piece is forceful and filled with contrasts. Its delicate passages were played with a spacious sense of breath by Dinnerstein, while the more emphatic central section in piece’s the repeating loop was performed powerfully with fleet-fingered accuracy. Last year, Dinnerstein’s account of Glass’s Third Piano Concerto was impressive; here, she made a further case for a place in the pantheon of Glass pianists. Contrast played a large role in Dinnerstein’s rendition of Robert Schumann’s Arabesque. Once again, she emphasized the breath between phrases, allowing the audience a sense of deft transition between the various emotive sections as they unspun. Erik Satie’s Gnossiene No. 3 received the mysterious performance its ambiguous markings and lack of bar-lines evokes. One part cafe music and another modal Impressionist excursion, the piece was rendered with an evasive, lilting quality. The pianist, in general, avoids overt and flashy displays of hyper-virtuosity, preferring instead to pick distinct places in which she allows her playing to be unrestrained. Dinnerstein’s performance of Schumann’s Kreisleriana provided several excellent opportunities for effusive virtuosity, and they seemed all the more special for the way that the pianist set them in relief against the more contemplative portions of the work. Fleet arpeggiations flew and the fugal passage in the final movement was a brisk cannonade. Dinnerstein’s aforementioned penchant for allowing the music to breathe, as well as the atmosphere she created for her performance, encouraged a normally bustling New York audience to truly slow down and breathe themselves: a welcome respite during the busy holiday season. When the encore she favored them with was not some barnstormer but instead a reprise of Les Barriades, allowing the program to come full circle, it seemed entirely appropriate. NEW YORK – Themed programs and portrait concerts are all the rage these days. As such, it is refreshing when an ensemble goes eclectic, presenting a diverse array of music. Such was the case on Monday, June 4th, when Da Capo Chamber Players performed eight pieces by living American composers who write in a plethora of styles. Consisting of violinist Curtis Macomber, cellist Chris Gross, flutist Patricia Spencer, pianist Steven Beck and joined by guest artists soprano Lucy Shelton, clarinetists Marianne Glythfeldt and Carlos Cordeiro, and percussionist Michael Lipsey, the musicians are a formidable cadre of some of New York’s best new music performers. This was handily demonstrated in all of the works on offer at Merkin — how often can you depend on that level of consistency? Few groups perform the rhythmic patternings of minimalism more assuredly than the Da Capo Players. Here they clearly delineated the differences between various types of ostinatos. Sweet air (1999) by David Lang juxtaposed its repetitions with distressed dissonances, In the sole premiere on the program, Dylan Mattingly’s Ecstasy #3 (2018) presented passages filled with an alt-folk-inflected melody. An arrangement by Robert Moran of Philip Glass’s Modern Love Waltz (1980) may have explored repetition in the most straightforward way of the pieces here, but its fluid playfulness made it a fetching addition to the proceedings. The modernist wing of composition was represented too. Elliott Carter’s Canon for Four (1984) received an incisive rendition, with the contrapuntal details of the work vividly underscored. Tanoa León’s One Mo’ Time (2016) mixed a varied palette of chromaticism with inflections of gospel and jazz. She is one of the best at allowing these two traditions to coexist in her music in organic fashion. Christopher Cerrone supplied one of the evening’s most imaginative works. Hoyt=Schermerhorn for keyboard mixed a gradual build-up of soft textures that was somewhat indebted to the works of Feldman but through quicker changes of harmony. Over time, effects such as reverb and treble register loops brought the piece from its eighties origins into the twenty-first century. Amalgam (2015) by Taylor Brook, was the concert’s most experimental piece, with the players (and soprano Lucy Shelton) moving from disparate roles to unison playing, then heterophonic treatment of the piece’s melody. Amalgam is a fascinating composition that certainly proved to be a successful experiment for Da Capo. The concert’s standout was Romancero (1983), for soprano and ensemble, settings of four medieval poems thought to be from the Sephardic Jewish tradition by Mario Davidovsky. Shelton was as expressive as ever and well-matched for the angular challenges posed by Romancero’s post-tonal pitch vocabulary. Her voice ranged from delicately floating pianissimo passages to forceful forte declamations. The instrumental parts are quite demanding as well, reminiscent of the complexly articulate language of Davidovsky’s electroacoustic Synchronisms. Shelton is a frequent collaborator with Da Capo (see a recent video of their rendition of Arnold Schoenberg’s Pierrot Lunaire below), and their association showed in the intricate interplay between voice and instruments: a gem of a performance. As if to remind us of the celebratory catholicity of taste that bound together the disparate strands of this program, its finale was the brief, yet brilliantly multi-faceted, Encore (1991) by Bruce Adolphe. Composed to celebrate the Da Capo Players’ twentieth anniversary, it has remained a staple of their repertoire. It is hard to believe that the group has now been going for 48 years. Based on the vigor with which they performed at Merkin Hall, the sky’s the limit for their upcoming golden anniversary season. Répons at the Park Ave. Armory. Photo: Sarah Palay. NEW YORK – On October 6 & 7, 2017, Park Avenue Armory presented Ensemble Intercontemporain, conducted by Matthias Pintscher, in Répons, a major work by the recently deceased French composer Pierre Boulez. It was the first time that the composition has been heard in New York since one of its early incarnations in the 1980s (the Times was hard on him then). Boulez was an inveterate reviser, and the electroacoustic component of this piece continued to evolve with successive technological innovations. It is also the first large-scale work to be mounted here since the composer’s passing in 2016. The performance of the roughly fifty-minute long work consisted of two renditions, back-to-back with only a short intermission (many of the principals had worked up a sweat by the end of the evening; justifiably so!) For our section of the crowd, the first performance found the ensemble and Pintscher seated in the center with the audience surrounding them; with their backs facing much of the audience. Brass textures and the section’s seemingly ceaseless mute changes were on full display; some of the string passages were distant-sounding as a result. For the second hearing, the audience moved to a different vantage point: from our seats the musicians and conductor faced us. There was more clarity in all of the parts. That said, the change of seating was not a wasted gesture: it made for some fascinating listening to the roles of the various sections in the construction of the work. For my seat partner, a theatre person, it was a treat that permitted one better to assess the affects of lighting and the staged quality of the gestural components onstage. Pierre Audi, mise-en-space, and lighting designer Urs Schönebaum did an excellent job of providing an expansive environment equal to the space in the Armory. The use of global changes of lighting suited the piece far better than would have a busier set of cues. The seating change paid another dividend: one got a different earful of what was going on behind and around the audience. Soloists Samuel Favre, Gilles Durot, percussion (mallet instruments); Dmitri Vassilakis, Hidéki Nagano, piano; Frédérique Cambreling, harp; and Luigi Gaggero, cymbalum, were seated in an outer circle, surrounding the audience and the interior cohort of musicians. Their music was treated to amplification and electronic manipulation by longtime IRCAM sound-smith Andrew Gerzso, who worked alongside Gilbert Nouno and Jérémie Henrot, two of IRCAM’s sound designers, to create the impressive and well-balanced spatial effects. Répons is labyrinthine in its complexity, formidable in its difficulties. That said, there is a jubilant air to its challenges. In particular, the sensuous nature of the bell-like solo parts, particularly the percussionists’ mallet instruments and the cymbalum, proves irresistible. Although there is much angularity and virtuosity on display, as one finds in a large amount of Boulez’s later work there are also pitches and chord complexes that help to under gird the proceedings and provide the listener with a sense of trajectory amid the flurries of activity. I was quite grateful to have a perusal copy of the score to consult. Universal’s edition of the score is clearly notated and has an elegant layout. Despite the many divisi in Répons, it allows for manageable study of the piece’s materials and flow. There was palpable enthusiasm from the large number of attendees at the October 7th concert (I opted for this one to celebrate my birthday with Boulez!). It will be interesting to see how reception for his work evolves. Boulez had a somewhat fraught tenure with the New York Philharmonic in the 1970s, but he remained highly regarded in contemporary music circles and his music has hardly been neglected in New York. A memorable performance from a few years ago was a scintillating traversal of Dérive 2 at Miller Theatre. Thus one hopes that the Armory performances will be the first of many retrospectives. The strength of Ensemble Intercontemporain’s presentation should no doubt help to encourage further investigation of Boulez. It was a marvelous event both from the musical and theatrical points of view. 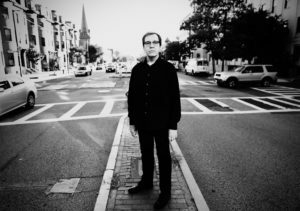 NEW YORK – Pianist Bruce Brubaker has long been known as one of the best interpreters of Downtown contemporary music around. His is a versatile catalogue of recordings, including excellent CDs of works by John Adams, John Cage, Alvin Curran, William Duckworth, and Meredith Monk. However, despite an increasingly crowded field of pianists exploring the works around the composer’s eightieth birthday, Brubaker’s renditions of Philip Glass have few parallels; the 2015 InFiné recording Glass Piano is required listening. Brubaker’s latest project, a recording titled Codex, also on InFiné, is slated for November release. It explores two interests new to his recorded catalogue: one the comparatively recent piano repertoire of Terry Riley, and the other culled from one of the oldest manuscripts of keyboard compositions extant: The Faenza Codex. This early Fifteenth century document provides a tantalizing glimpse into the instrumental music of that era. The juxtaposition of the highly ornamented and rhythmically diverse selections of material from the Codex with Riley’s equally subtle Keyboard Study #2 (1964-’65), presented in two parts (which, Brubaker explained, was separate passes through the piece’s circular complex of pitch notations – the rhythms are free – to render two different results). Although ostinatos are the hallmark of Riley’s style, Brubaker managed to supply two different sets of repeating gestures, significantly varying the two iterations of Study #2. Brubaker’s interpretation of the Codex pieces evolved too. At first he played with a delicate approach that imitated early keyboard instruments. However, by the last Codex offering, Brubaker found a more pianistic approach to be appropriate, allowing J’ay Grant Espoir significantly more melodic heft than previous pieces. The new album’s fare, and its juxtaposition, is fascinating. Two pieces of Glass’s music were on offer as well, superlatively played and thoughtfully interpreted. Like Glass himself, Brubaker doesn’t lend these pieces the motoric character that more rigid performers impart to them. Instead, there is a supple character, significant shadings of dynamics, and small tempo alterations that allow the works to breathe Romanticism in midst of their minimal processes. The standout was Mad Rush, an extended essay in which a reiterated minor third is the jumping off point for a host of variations in a plethora of harmonic directions. Wichita Vortex Sutra served as an equally compelling encore. During shows at LPR, one often hears the clinking of glasses and whispered conversations — that’s the nature of a club atmosphere and customers and wait staff alike are usually reasonably discreet. For Brubaker’s set, you could have heard a pin drop, especially during Mad Rush. Kudos to attentive listening. Locrian Chamber Players’s mission is clear: they play the very newest contemporary classical fare: selections must have been written in the last decade to be programmed. This time out, the focus is on the music of John Luther Adams, including his setting of the late Alaskan poet John Haines’s “Cosmic Dust,” performed by the group’s regular vocalist, mezzo-soprano Jacqueline Horner-Kwiatek (Anonymous Four, Ekmeles), and the New York premiere of the string quartet “untouched” (2015). “Fortunate Ones,” by the group’s director, David MacDonald, will receive its world premiere. The program also includes music by Adrienne Albert, Aaron Alter, Caroline Mallonee, and Andrew Lovett. As is Locrian’s custom, you will find out more about these composers, but only if you stick around: program notes aren’t distributed until the end of the show. The concert is free. A reception will follow. On Friday, June 23rd at 8 PM, organist Christopher Houlihan finishes his tenure at Church of the Holy Apostles with a recital on the space’s J.L. van den Heuvel organ. The program will include staples from the repertoire – J.S. Bach’s Fantasia and Fugue in G minor, BWV 542 (a piece that Houlihan plays compellingly on his latest all-Bach CD for Azica), and Maurice Duruflé’s Suite, opus 5 . It also features a transcription by Alexandre Guilmant of the Andantino from Claude Debussy’s String Quartet and the premiere of a commissioned work, Ludus by Hannah Lash. This is Lash’s first work for organ, but given her imaginative use of colorful scoring in both operas and instrumental works, one imagines the van Den Heuvel will get a workout. The event is free (directions here). On Friday, June 16th from 7:30 to 10 at the New York jazz venue Smalls, pianist Aaron Parks celebrates the release of Find the Way, his second release on ECM as a leader (and third overall). On 2013’s Arborescence, Parks appeared on the label as a solo artist, crafting improvisations in a live setting that were gently sculpted but nevertheless stirring selections. This time out, Parks plays in a trio; he has a versatile and well-versed rhythm section at his disposal and to his credit, the pianist adopts an attitude of collaboration, encouraging each artist to take a turn in the spotlight. He is joined by eminent jazz drummer and frequent ECM recording artist Billy Hart and bassist Ben Street, a musician with many avant-jazz credentials who also plays in Hart’s quartet. With energetic tom fills and textural cymbal playing, Hart particularly stands out on “Hold Music,” one of eight originals on the recording (the only cover is the title song, a chestnut that isn’t a household name, but ought to be). On “Song for Sashou,” Street supports a supple quasi-bossa, gliding in and out of register with Parks’ comping to underscore both rhythmic elements and a fetching countermelody. There’s a painterly quality to the tune “Adrift.” It serves as a point of departure from the washes of sound that Parks evokes in his solo playing. These are now incorporated into a multifaceted context with a rhythm section’s underpinning. Still, the title is an accurate one; even with drums and bass, there is a delicacy of approach here that prevents the music from feeling too strongly grounded. Often Parks takes neo-impressionist approach. “Unravel” flirts with Ravel in its extended chord arpeggiations and revels in delightful offsets in the interplay between the hands. “The Storyteller” pits Parks’ stacking of extended chords against bluesy right hand licks. Meanwhile, Hart makes space for fills to spur things onwards and Street plays multi-register melodies, once again finding a melodic role for the bass to navigate. “Alice,” with aching suspensions and deft filigrees in its intro, followed by a rousing colloquy for the trio, is a particularly memorable composition and one that demonstrates that there is a bit of welcome steel in the midst of this trio’s buoyant demeanor. Find the Way is a big step forward in the development of Parks’ already potent musicality – one imagines that this will be a memorable gig!